At the Skywalker Ranch, there was always a long lineup for the Princess Leia Ride, even when Stacy and her “Umbrella of Truth” was working it. Alltop would never tell a lie. 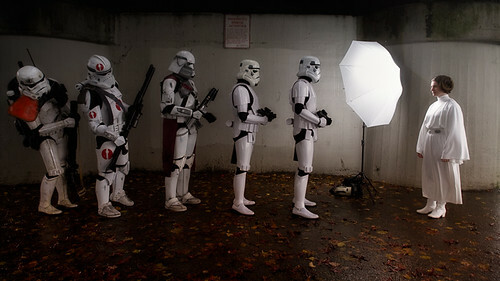 Cloud City Garrison – The Portrait Sessions, originally uploaded by LukeOlsen. Previous Post Spot the Newton!